Situated a few miles from the entrance to Capitol Reef National Park, SkyRidge Inn is a charming bed and breakfast inn that offers a quintessential Utah getaway. The Inn features six well-appointed guest rooms with western-inspired décor and rustic furnishings, en-suite bathrooms, modern amenities, and furnished decks with hot tubs and beautiful park views. A delicious hot breakfast is served in the casual dining room every morning, and other facilities at the inn include an inviting lounge, a shaded porch with outdoor seating, and a private patio with a communal hot tub and picnic table. SkyRidge Inn is ideally located for exploring the region which is packed with outdoor recreational activities and adventures, including hiking, mountain biking, fishing, climbing, and scenic drives. SkyRidge Inn features six well-appointed guest rooms located on the first and second floors of the Inn with large windows and spectacular mountain views. All accommodations have plush king or queen-size beds with pillow-top mattresses, high-quality linens and comforters and plush pillows, and en-suite bathrooms with shower/bath combinations, fresh towels, bathrobes, and branded toiletries. Sitting areas have comfy armchairs, and modern amenities include flat-screen televisions with cable channels, coffee makers, hairdryers, and complimentary wireless Internet. Buffaloberry is located on the first floor of the inn and boasts beautiful views of the surrounding Juniper forests. The room features a comfy queen-size bed with a pillow-top mattress, high-quality linens and comforters and plush pillows, and an en-suite bathroom with a shower/bath combination, fresh towels, bathrobes, and branded toiletries. Buffaloberry has access to the back patio with communal hot tub. Sagebrush is a spacious second-floor room with a king-size bed with a pillow-top mattress, high-quality linens and comforters and plush pillows, and an en-suite bathroom with a shower/bath combination, fresh towels, bathrobes, and branded toiletries. Pinion boasts a beautiful cathedral ceiling and features a romantic four-poster queen-size bed with a pillow-top mattress, high-quality linens and comforters and plush pillows, and an en-suite bathroom with a shower, fresh towels, bathrobes, and branded toiletries. Tumbleweed is an L-shaped suite on the first floor with a private front porch entrance and a small back patio. The charming bedroom has a comfy king-size bed with a pillow-top mattress, high-quality linens and comforters and plush pillows, a twin trundle bed, and an en-suite bathroom with a shower/bath combination, fresh towels, bathrobes, and branded toiletries. Chamisa is a spacious room on the third floor with romantic dormer windows and spectacular views of Capitol Reef and Torrey's pastoral valley. The bedroom has a super-size king-size bed with a pillow-top mattress, high-quality linens and comforters and plush pillows, a twin trundle bed and a private bathroom with a shower/bath combination, fresh towels, bathrobes, and branded toiletries. Modern amenities include a mini-fridge, a flat-screen television with cable channel, coffee maker, hairdryer, and complimentary wireless Internet. Located on the second floor, Juniper has a queen-size bed with a pillow-top mattress, high-quality linens and comforters and plush pillows, and an en-suite bathroom with a two-person whirlpool tub and handheld shower, fresh towels, bathrobes, and branded toiletries. 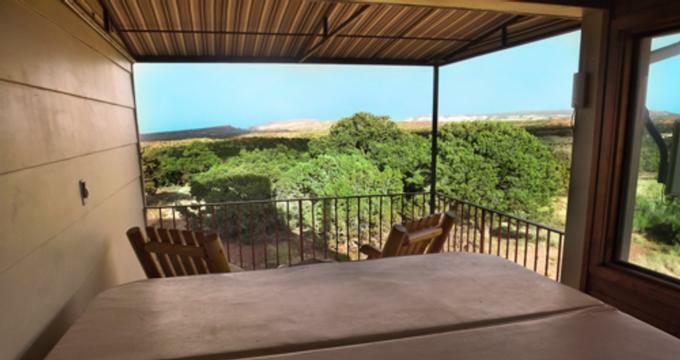 This room has a private sitting deck with breathtaking views of Capitol Reef National Park and the majestic copper northern cliffs. A complimentary breakfast is served every morning and includes freshly baked bread and pastries, seasonal fruit, cereals and yogurt, a variety of signature dishes, and freshly brewed coffee, tea, and juices. SkyRidge Inn has a variety of comforts to enhance guests’ stay, including a communal lounge with leather sofas and armchairs, a casual dining room where a complimentary breakfast is served every morning, and a private porch with a hot tub where guests can relax and soak up the breathtaking views. SkyRidge Inn is ideally located for exploring the area and enjoy all the local attractions and activities, which include hiking Capitol Reef, scenic drives on Highway 12, and fishing on Boulder Mountain, Thousand Lake Mountain, or the Henry Mountains.